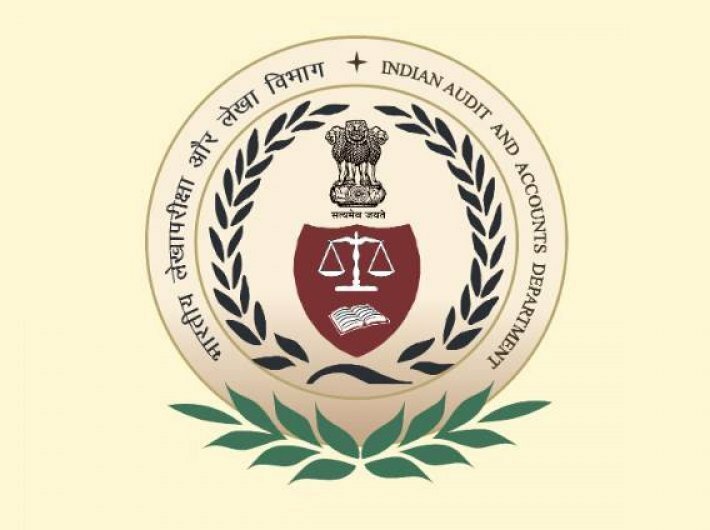 The Comptroller and Auditor General (CAG) has found shortcomings in Gujarat PSUs, particularly in seven companies that came into being after the Gujarat Electricity Board (GEB) was unbundled in 2005. The CAG report said that the state public sector undertakings (SPSUs) consist of state government companies and statutory corporations. The SPSUs are established to carry out the activities of commercial nature keeping in view the welfare of people and also occupy an important place in the state economy. As on March 31, 2016, in Gujarat there were 72 working SPSUs (68 companies and four statutory corporations) and 14 non-working SPSUs. The working SPSUs registered a turnover of Rs 1,11,036.50 crore as per their latest accounts. The turnover was equal to 11.27 percent of state’s gross domestic product for 2015-16. The investment (capital and long term loans) in 86 SPSUs was Rs 1,29,178.86 crore. Out of the total investment, 99.38 percent (Rs 1,28,378.33 crore) was in working SPSUs and remaining 0.62 per cent (Rs 800.53 crore) was in non-working SPSUs. Thirty six working SPSUs had arrears of 64 accounts as on September 30, 2016. The extent of arrears ranged from one to six years. During the year 2015-16, as per their latest accounts, out of 72 working SPSUs, 49 SPSUs earned profit of Rs 2,854.27 crore and 14 SPSUs incurred loss of Rs 1,221.15 crore. The major contributors to the profit were Gujarat State Petronet Limited (Rs 667.86 crore), Gujarat Gas Limited (Rs 252.25 crore), Gujarat Mineral Development Corporation Limited (Rs 336.63 crore) and Gujarat Energy Transmission Corporation Limited (Rs 302.79 crore). Major loss making SPSUs were Gujarat State Petroleum Corporation Limited (Rs 875.00 crore), Gujarat State Road Transport Corporation (Rs 132.45 crore), Gujarat State Financial Corporation (Rs 104.99 crore) and Gujarat Water Infrastructure Limited (Rs 91.37 crore). The CAG report went on to say that the Gujarat Electricity Board (GEB) was unbundled with effect from April 1, 2005 into seven separate companies. They had functional responsibility for generation, transmission, distribution and trading of electricity. The distribution of electricity was vested with four Power Distribution Companies (DISCOMs). The DISCOMs were Dakshin Gujarat Vij Company Limited (DGVCL), Madhya Gujarat Vij Company Limited (MGVCL), Uttar Gujarat Vij Company Limited (UGVCL) and Paschim Gujarat Vij Company Limited (PGVCL). They catered to the consumers in south Gujarat, central Gujarat, north Gujarat and Saurashtra region respectively. The creation and maintenance of the distribution network requires purchases of different kind of materials and their storage at convenient locations. The DISCOMs after unbundling continued to follow the Purchase Policy 2000 of the erstwhile GEB. Gujarat Urja Vikas Nigam Limited (GUVNL - holding Company) circulated purchase guidelines to all its subsidiary companies. We found that the above purchase policies had not been uniformly adopted by all the DISCOMs. MGVCL, PGVCL and UGVCL placed Purchase Orders (POs) on new parties in excess of individual limits prescribed in the purchase policies. MGVCL, in violation of the Purchase Policy 2000, allotted quantity above the 10 percent limit to new bidders in two tenders amounting to Rs 13.65 crore. PGVCL in respect of ten tenders and UGVCL in respect of one tender allotted excess quantity to new bidders to the extent of Rs 28.95 crore and Rs 4.05 crore respectively. MGVCL and UGVCL awarded POs worth Rs 4.93 crore to new bidders though their rates were not lower than the lowest regular bidder. As per Purchase Policy 2000 and 2011 these bidders were not eligible for any allocation. In accordance with the Purchase Policy 2011, 50 percent of tendered quantity was to be allotted to Gujarat based firms. The final cost of the product quoted by the Gujarat based firms could not be more than 15 percent of the cost quoted by the firms from outside Gujarat. PGVCL awarded a PO worth Rs 3.62 crore to a Gujarat based firm in violation of this requirement.